Sometimes I am just blown away by how our God sends such amazing gifts from heaven that are like complete miracles and they are an answer to a prayer that I had prayed for that was on my heart. Oh, how I love how our Abba Father blows kisses from heaven and how He knows and sees every need that is on our heart even before we think that it is a need. 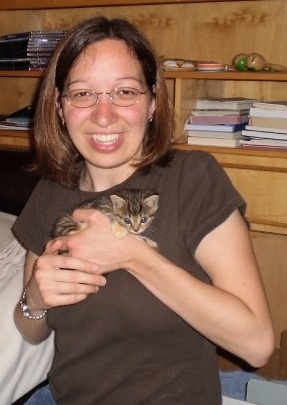 Holding Minnie when she was a kitten in June 2009.
having her for 16 years. After living in Romania for a couple of years and continuing giving this desire of my heart to the Lord, He blessed me with my sweet beautiful cat Minnie! 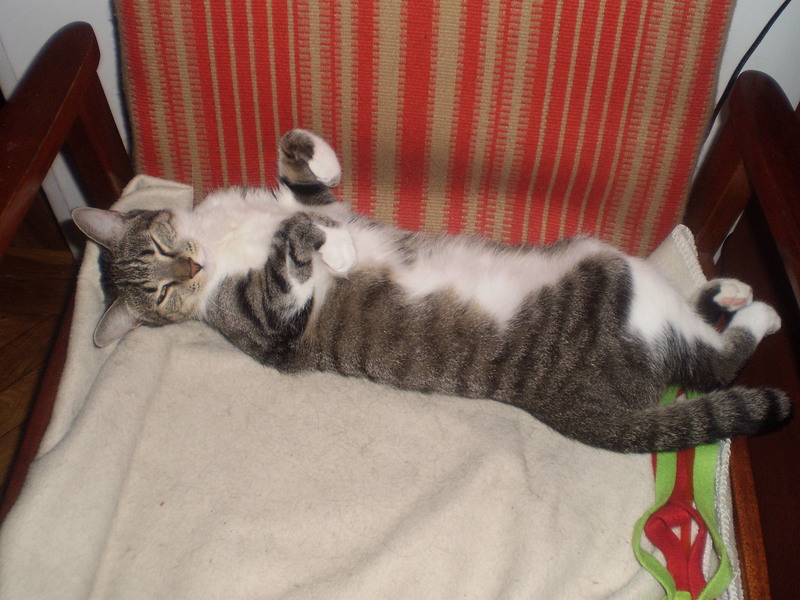 I got Minnie when she was a tiny kitten in June 2009 and now she is five years old. My cat has brought so much joy to my life and I’m so very thankful for her. I’m also so very thankful of how God has always taken care of my cat when I have gone away on weekend trips, away for week trips and even up to 2 to 3 months when I went to Canada and when I went to Mozambique. When God led me to serve with YWAM last year in May 2013, I was honestly very concerned how everything will work out because I could not bring my cat onto the YWAM base to live there. 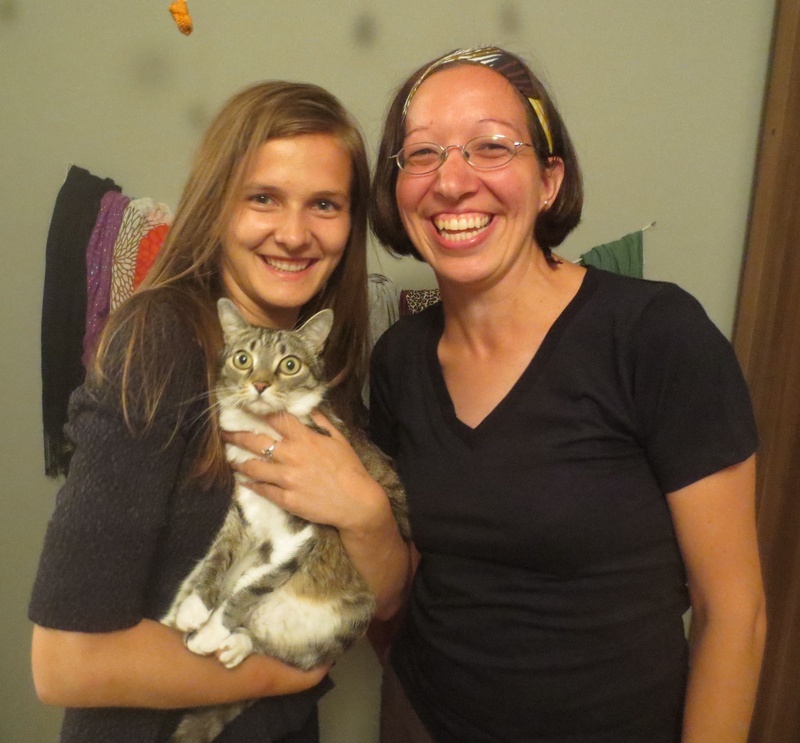 The YWAM base in Targu Mures, Romania recommends and encourages their missionaries for their first year to live on the base to really grow in the community however I didn’t know what would happen because I didn’t want to ever give up my cat and I knew in my heart that God had given her to me. I am so very grateful that God had given me favor to be able to live off the base so I could live in an apartment with my cat which was the first answer to prayer but when I moved to Targu Mures on May 13th I didn’t know where I would live so I would need another miracle from the Lord. When I arrived at the YWAM base on May 13th after a very long exhausting long trip from Oradea where I had lived for 3 years I wasn’t sure where I would live but I kept surrendering this to God. Then the amazing staff at the base decided to speak to Verica on the phone who is a wonderful older woman that comes to the base for the worship and prayer times. The staff called her to see if she would know of any place for me to live or even to have a temporary cat sitter until I found a place to live. Well as it turned out she was looking for a new renter for one of the apartments that one of her sons owns so I decided to check it out that evening! The moment I walked into the apartment I loved it, it was perfect and I was able to move in the following day so God provided another miracle! I originally was not looking for a two room apartment but I took it anyway and I just felt in my heart that God had a purpose in giving me a two room and not a one room apartment. The rent was also a bit higher than what I had originally plan in my budget but I decided just to step out in faith and take it. full-time volunteer from May – September 2013 and then on September 24th the Discipleship Training School had started. However the leadership told me that I would need to live on the base during the week so I could grow in the community and in the relationships more with my class which I thought was a wonderful idea but didn’t know how it would work with my cat. I decided to start praying for a girl to share my apartment with sometime in May and surrender this to the Lord. I honestly had no idea who to ask or where to look for a flat mate but I just prayed and believed that God would divinely provide the right person and especially someone who also loves cats and can help me take care of Minnie during my DTS at the YWAM base as well. On July 30th I got the most amazing news from Florin who is one of my co-workers when he told me that he spoke to a Christian girl from Vaslui, Romania who is interested in coming in the fall for university and staying in the room and she even loves cats too which is a miracle from God! On Monday September 23rd Miriam moved into my apartment which was the day before the DTS had started – wow what a miracle from God!! 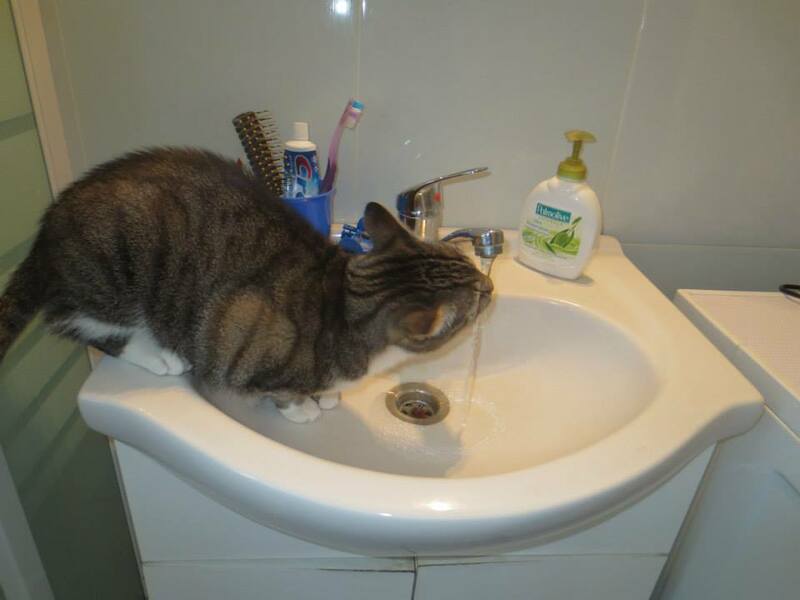 Minnie drinks water from the sink. I am so very grateful beyond what I could possibility put into words how thankful that I am that God has brought Miriam into my life for her first year of medical university here in Targu Mures! Miriam is such a gift from the Lord not only is my rent a bit cheaper now but more than that I have a really great Christian friend to live with and Minnie has been well taken care of when I did my DTS this past year and… my cat loves her so much! At first I thought I would be finished my DTS by February of this year but then it took longer than what I had expected it to be because of my unexpected knee surgery in January of this year but everything worked out in the end. taking care of Minnie while I was at the YWAM base during the week when I did my lecture phase, then she helped me during my knee incident and then I went away for 2 1/2 months when I went to the YWAM base in Cluj and also when I did my DTS outreach in Uganda. My heart is filled with so much gratitude that God has brought Miriam into my life and I couldn’t have asked for a better flat mate than her. She is a definitely a very precious treasure and gift from God! This summer she will be in London for two months where she got a job to save some money for school for the following school year. I’m really happy that she got this job which will be such a valuable life experience for her and she also gets to spend the summer with one of her sisters too! I’m really looking forward to Miriam coming back in the fall to be able to share life together again in our little apartment and I also know that Minnie my cat is waiting for her to get back already!